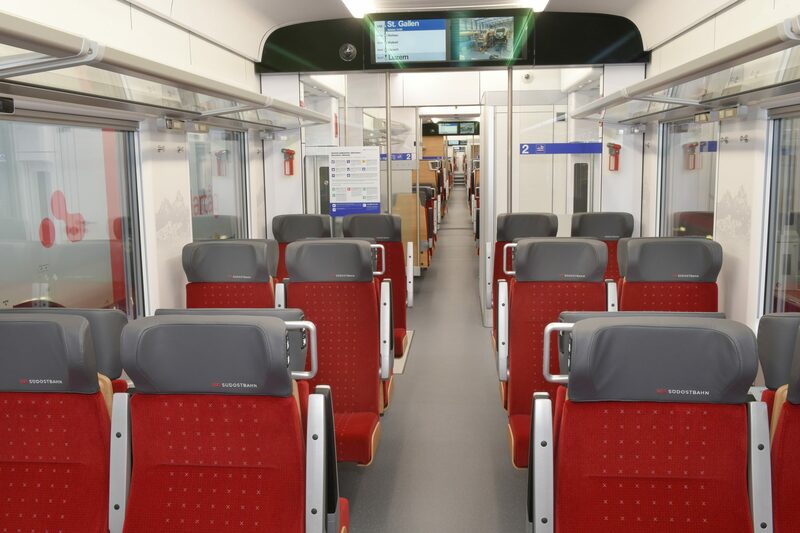 Stadler and Swiss rail company Südostbahn (SOB) have unveiled the new Traverso train which will operate on the Voralpen Express line, Switzerland. 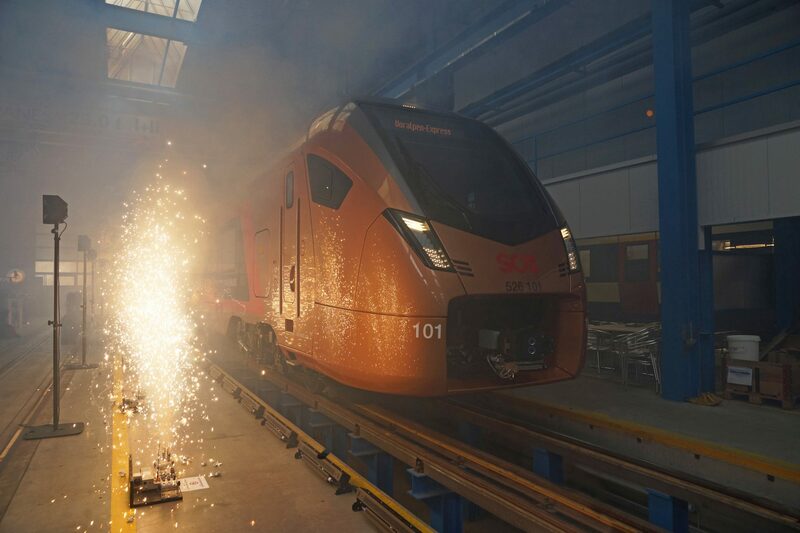 Almost two years of development and construction have gone into the multiple-unit FLIRT train, which was presented for the first time on June 6. SOB ordered six eight-car and five four-car trains at the end of June 2016 to replace its older units, some of which have been in operation for 40 years. These copper-coloured trains have been specially tailored to the needs of different groups: commuters will find areas where they can work in peace and quiet; tourists can enjoy the views from the panoramic windows, stow skis and bikes away safely, and buy food and drink in the two catering areas; and there is a special area designated for families. They can operate at speeds of up to 160km/h and the eight-car trains can seat more than 359 passengers. 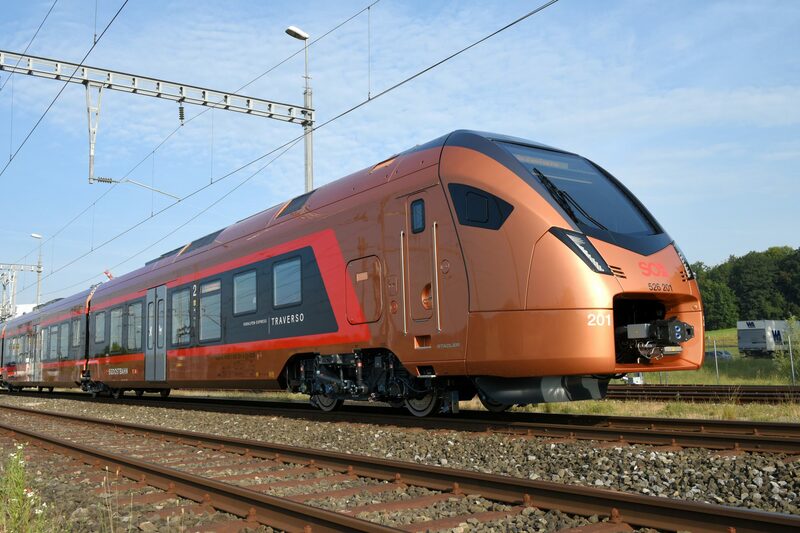 Changes to the 2019/2020 timetable will coincide with the implementation of the new fleet for the Voralpen-Express line. Stadler chair Peter Spuhler said that SOB is one of the company’s oldest customers. He added: “We are delighted to be making a contribution to the Voralpen-Express success story, and are extremely pleased that Stadler trains will be used on this beautiful route between St. Gallen and Lucerne.